Casa Turistica La Torre i Córdoba, Spanien: Reservér nu! A charming house completely refurbished where you can enjoy a pleasant and quiet stay in the best enclave of Cordoba. We have a lounge, kitchen and a terrace from which you can admire the tower of the Mosque. Our rooms are spacious and perfectly equipped. In the price is included: sheets, towels, wifi ... and much more! 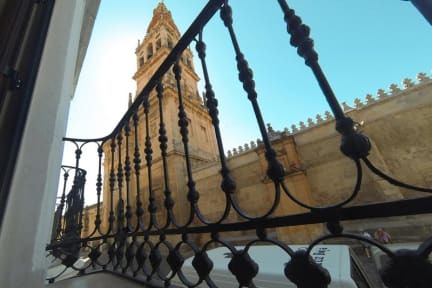 The Tourist House la Torre is located in the historic center of Cordoba, just a few steps from the Puerta del Perdón (main entrance of the Cathedral Mosque). In addition, the Synagogue of Cordoba as well as other tourist attractions such as Bullfighting Museum of Cordoba, The Roman Bridge or Alcazar of the Christian Monarchs, amongst other interesting spots of the city. Given its magnificent location you can walk through the Jewish Quarter and walk all its streets, corners and squares. We are specialized and oriented to offer different types of accommodation, all of them private, to people who are looking for tranquillity and quietness. 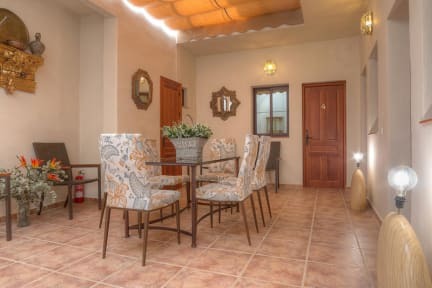 We have rooms that suit magnificently for couples or friends travelling together as well as we have perfect rooms for group of friends travelling together. The reception service is open 24 hours per day. Nevertheless, the reception is located in Cardenal Herrero, N. 14 instead of being set up in the property.